Some very sophisticated and impressive duplicates of John Lewis products (and many more!) have hit the shelves in Aldi for as little as £5.99! It’s likely these little gems won’t be in store for long- so make sure to have a potter down the ‘random bits’ aisle next time you’re doing the weekly. We even discovered several TOP END John Lewis products for as much as a quarter of the price. 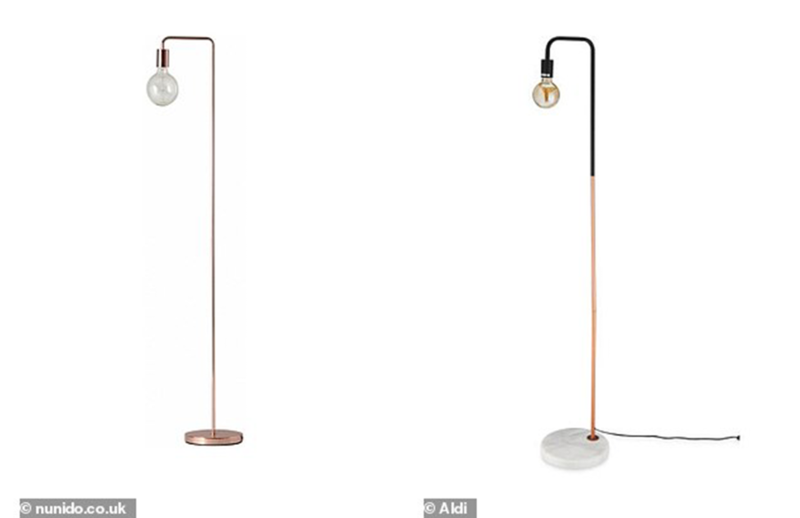 Now this one is scandalous; the one on the left is priced at £176, from Nunido, for what is nothing more than a lightbulb on a stick? It might be modern and sleek, but if that’s the look you’re going for then why not go for the £39.99 Aldi one (right) instead? 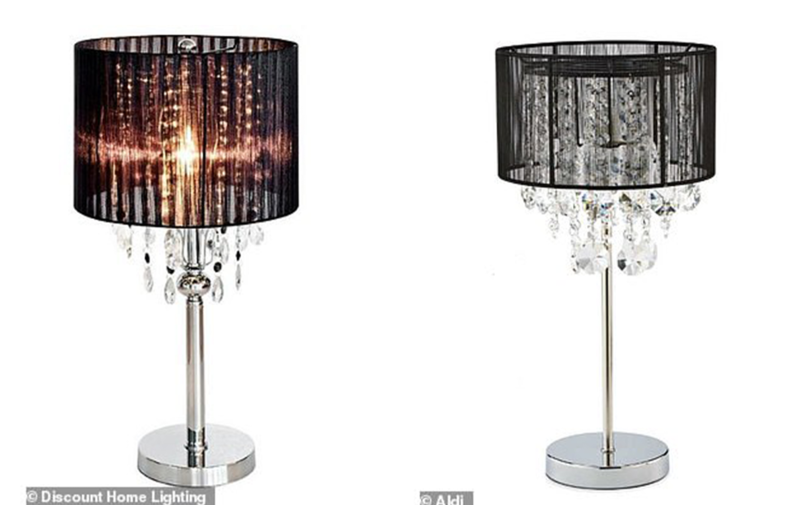 This chic, chandelier lamp will set you back a saddening £72.99 if purchased from Discount Home Lighting; if instead you take yourself down to Aldi you can get essentially the same thing for under £30!